Tony has always been fascinated by Asia. 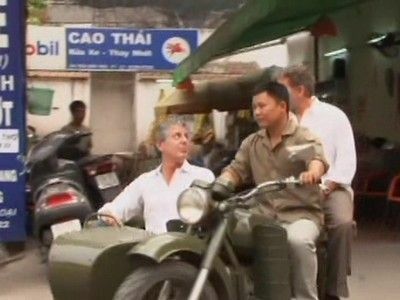 This time he's visiting Laos, a less popular tourist country, to investigate its history, culture and unique culinary offerings. 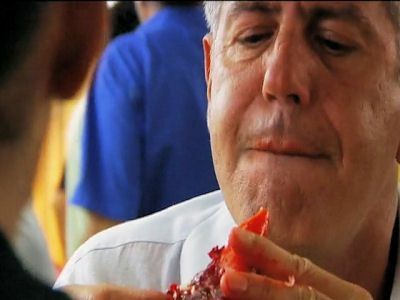 Tony travels to Spain’s Costa Brava to cook and dine with chef Ferran Adria at El Bulli before the “best restaurant in the world” closes its doors for good. 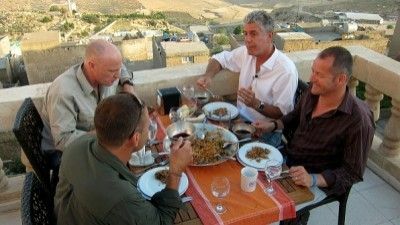 Friend and chef Jose Andres joins Tony for the experience of a lifetime. Having worked in kitchens alongside many generations of Azorean Portuguese immigrants, Tony decides it’s time to find out more about their motherland and explore the culture that molded so much of New England’s heritage. 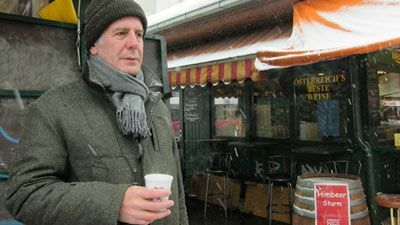 He hops from one island to the next while on the archipelago, dining on potatoes, pork, sausage, cabbage, shellfish, Portuguese soup and washing it all down with Gin and Tonics. From the hot springs in Furnas on Sao Miguel to one of the most remote locations in the world on Sao Jorge, and onto the beautiful wine making region of Pico, Tony experiences the best of Azores. 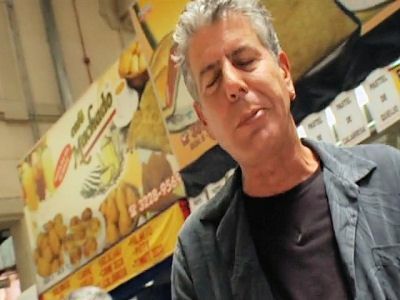 Anthony Bourdain discovers the beauty behind the street food of Mexico. 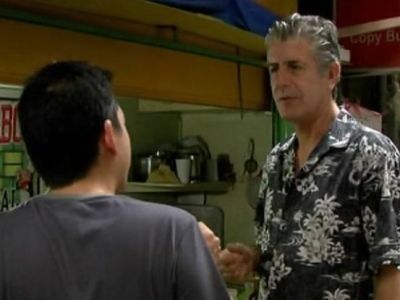 Anthony Bourdain visits Manila, the second-largest and most well-known city in the Philippines. He'll meet up with travel author and foodie Claude Tayag for some traditional Pampangan seafood. Later on, Tony pairs up with Augusto, runner-up for the "No Reservations" FAN-atic Special casting call, in Cebu City. The country of Singapore is serious about food. The cuisine of Singapore borrows from Chinese, Indian, Malaysian and Indonesian traditions. 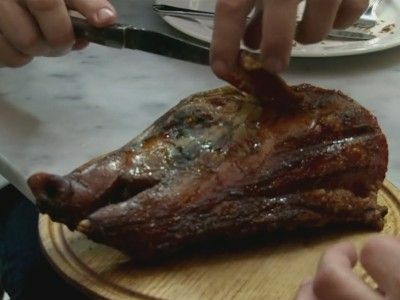 Along the way, it uses the cheap and plentiful ingredients of the the country to make the food available everywhere. This week Anthony is in Colombia, a country that finds itself the setting of one of South America's most remarkable transformations. In the 25 years since the death of Pablo Escobar, one of the world's most notorious drug lords, this once war-torn country has emerged like a phoenix from the scars of the past. Colombia offers Tony a tantalizing mix of cultures, delicious food and beautiful mountain scenery. 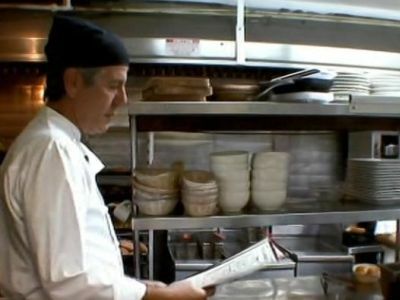 Tony has been away from Brasserie Les Halles, where he last worked as a chef nearly a decade ago. 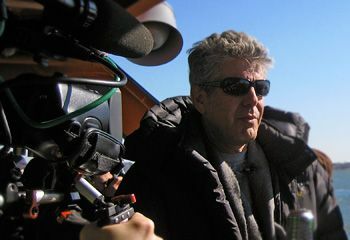 Given the opportunity to spend another day on the job; he re-evaluates his skills in the kitchen, his love of New York and his life as a chef. In Australia, Tony dives with sharks, visits sheep farms and the chic innovative restaurants of the big city, samples fresh seafood, old school charcuterie, and the ubiquitous Australian barbie. Tony explores the city of Buenes Aires. There he finds an exciting night life, delicious food, and friendly locals. From nightclubs to paragliding to cattle ranches, Tony experiences it all. 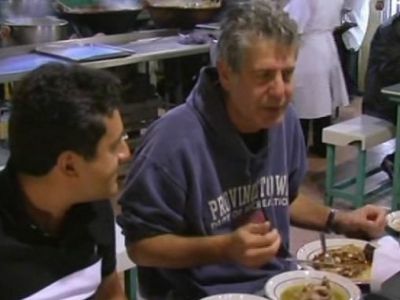 Tony Bourdain travels to Kansas City, MO, the BBQ capitol of the world with pal Zamir Gotta in search of the best barbeque. While there, Tony meets up with musicians, Dan and Patrick of The Black Keys for some serious finger licking meat. Croatia's Istria and Dalmatia regions are toured. 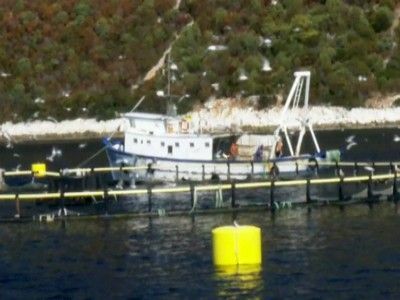 Included: swimming with bluefin tuna; truffle hunting. 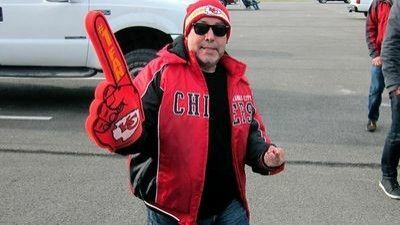 When Michael Ruhlman convinces Tony to visit Cleveland, he's not expecting to like it at all. However, he soon finds that he has more in common with the town than he first thought. 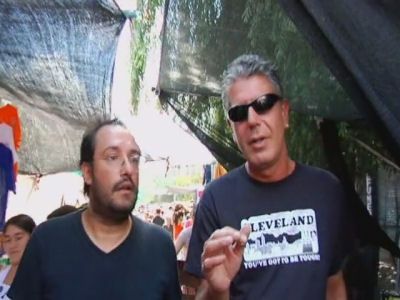 Tony travels to Emilia Romagna, the "breadbasket of Italy," with acclaimed NYC chef Michael White, sampling the foods that make this part of Italy great. 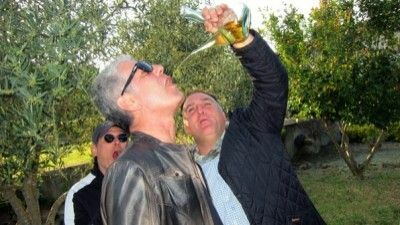 Tony once thought San Paolo was a horrible and ugly city; however, recently his friends have convinced him otherwise. As he explores the city, he develops a fondness for the rich culture that has developed from the mix of rich, poor, young, and old. Anthony decides to move to the country for a year to write the perfect Vietnam book. 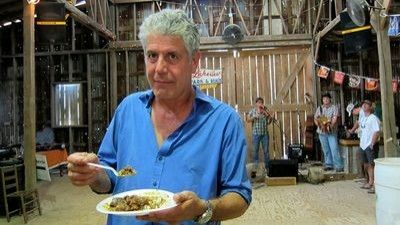 Along with a local chef and realtor we explore the country and what Anthony can expect as a full time resident. 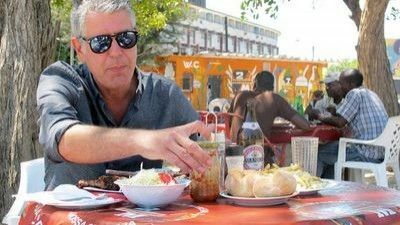 Tony Bourdain knows the jungles of Malaysia and the streets of London better than he knows what's just outside his hometown of Manhattan, so he enlists the help of some locals to explore New York’s other 4 boroughs. 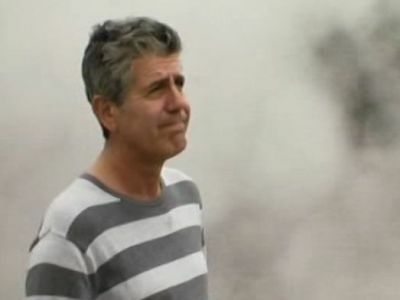 Tony will travel to Queens with chefs Chris Cheung and David Chang; he’ll explore Staten Island with David Johansen, lead singer of the New York Dolls; and check Brooklyn and the Bronx with his friend Famous Fat Dave. 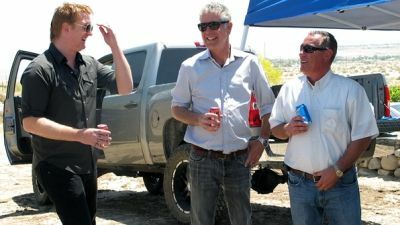 The host explores the High Desert of California with rocker Josh Homme of Queens of the Stone Age. 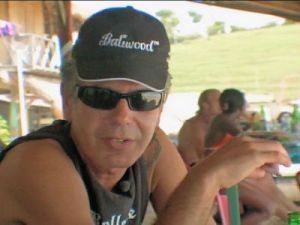 Tony explores the lush culture of Indonesia to discover what makes ex-pats want to stay. 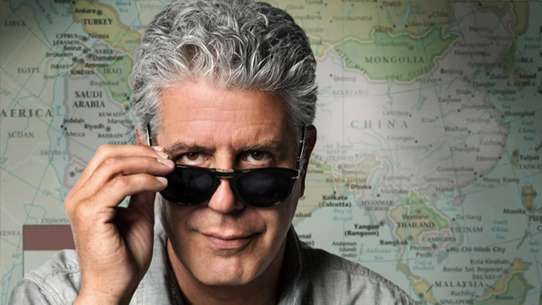 Along the way, he discovers the rich history and cuisine of Jakarta and Bali.